The Greater Love Church of God in Christ Choir was organized in 1967 by our then First Lady Mother Lucille Peel. Greater Love was a new church: therefore, the first choir consisted of the Peel Family. Soon after Sister Bernice Ramsey joined the church with her family and as the congregation grew, God added the Nixon and the Washington families to the church and choir. By the age of 8, Brother Rex Peel was choir and church organist by the age 13 he was the Minister of Music. The Church moved to 1612 South Hamlin where we are currently located. Almost immediately God blessed us to grow and with three more families, Brother Jack Tolfree, Brother Steve Huntley and the Hood families. 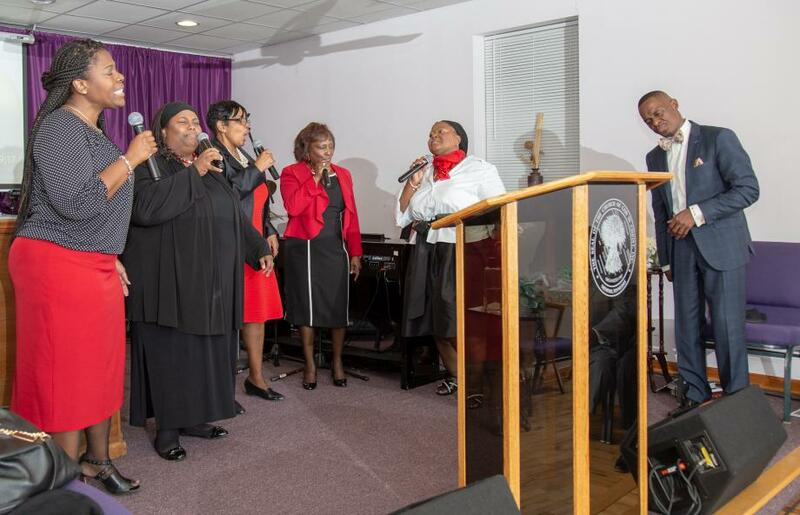 The Choir was named "The Concert Choir" and during that time there were three presidents, our originator Mother Lucille Peel, Sister Bernice Ramsey Williams and Sister Darlene Carter. In 1993, Pastor Ollie Peel appointed Sister Melissa Peel and Sister Dorothy Coleman as President and Vice President of the choir. In 1995, with the permission of our late pastor, Elder Ollie Lee Peel, Sister Melissa Peel changed the name of the choir to "The Love Ensemble". Brother Rex Peel was still in place as Minister of Music until 2002 when the mantle was passed to a very talented young lady by the name of Sister LeQuita Peel. In 2007, under the leadership of our God ordained pastor, Elder Rex Peel saw fit to try another creative talented person. He gave the charge to Brother Anthony Peel to be the Music Director and Sister Sylvia Hood as his Assistant Music Director. In 2008, Pastor Peel shook things up by eliminating All Assistant positions. From 2012 to the present, Brother Vernon Danridge has served as our Musical Director. In 2016 Pastor Peel appointed Missionary Cathy Harris as Choir president of Greater Love's Music Department and envisions this Department growing into an even greater realm of excellence. We believe the Best is yet to come! 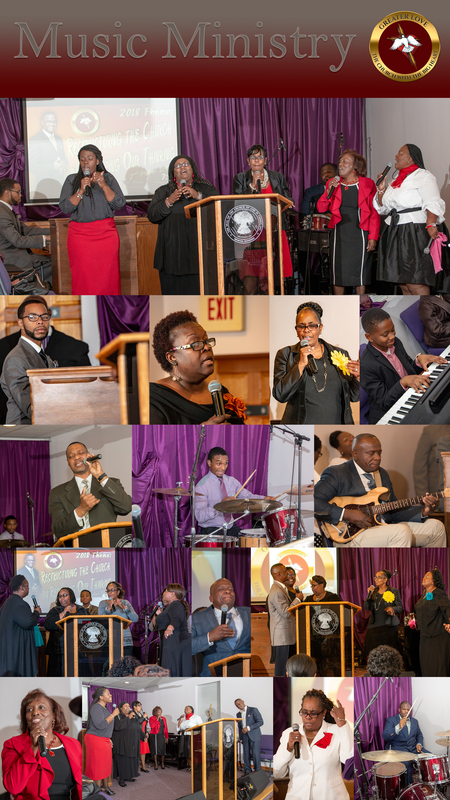 Our music ministry is comprised of dedicated, anointed and skilled psalmists and musicians. Through our music ministry we endeavor to demonstrate according to the Word of God, that singing and praise is essential for the Christian body as a whole. Singing and praise was the active ingredient in the destruction of the Great Wall of Jericho, which kept many armies and intruders out and slaves in. This Great Wall was no match for God’s holy nation who marched around the wall for 7 days armed with singing and praise in their hearts which they released on the 7th day (Joshua 6:15-20 KJV). In triumphant victory the wall fell down and the people took the city. In the Book of Psalms it is written as a requirement to sing praises unto God,” for it is good to sing praise unto God; for it is pleasant, and praise is comely.” (Psalms 147:1b KJV).